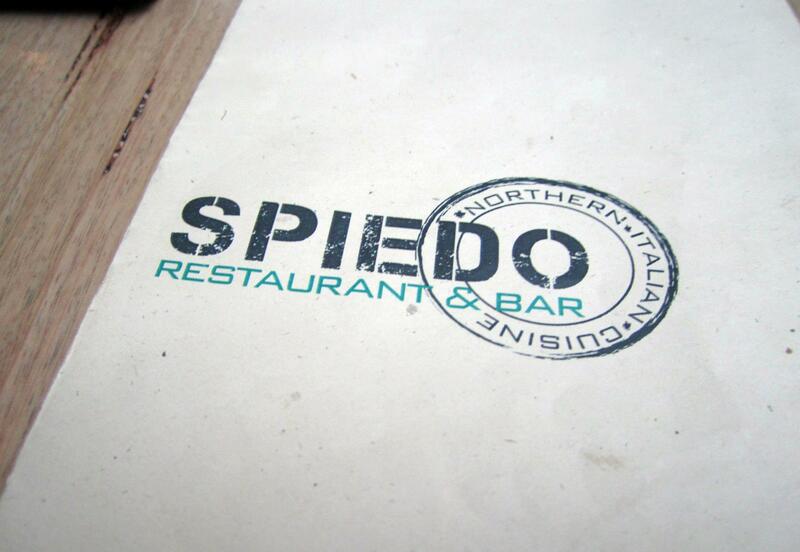 Spiedo is an interesting twist to Italian food, having been to Crinitis so often in the past it was interesting to be able to try out northern Italian cuisine which turned out to be fairly different. Overall it’s a great restaurant so definitely check it out if you want a decently priced and filling meal in Westfield Sydney. 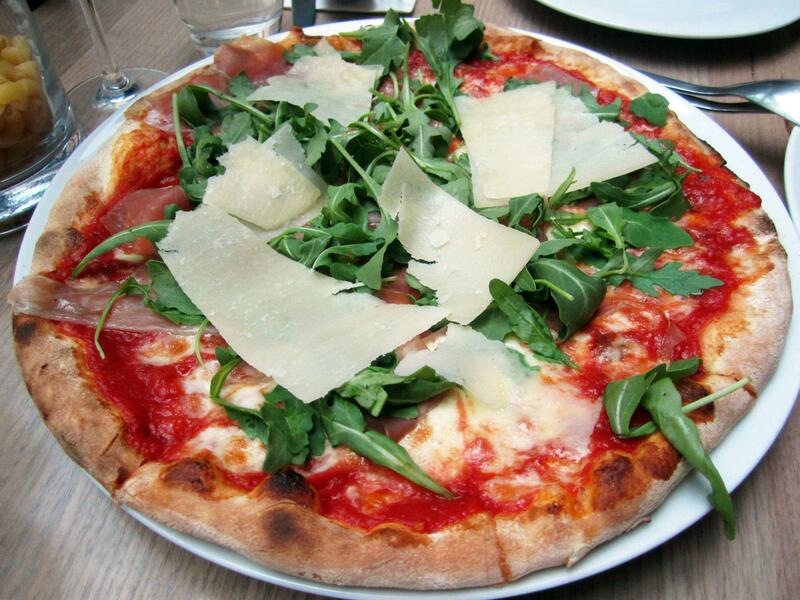 The delicious dish you see above is Prosciutto and Rocket pizza with Tomato, Mozzarella Cheese and Parmesan. It was absolutely delicious, I loved the big pieces of cheese, I loved the smoky prosciutto & I loved the pizza overall, especially the crust! The flavour was quite heavy on the tomato but was still scrumptious, I would definitely order this again next time! This was Mr C’s favourite dish, and I understand why. 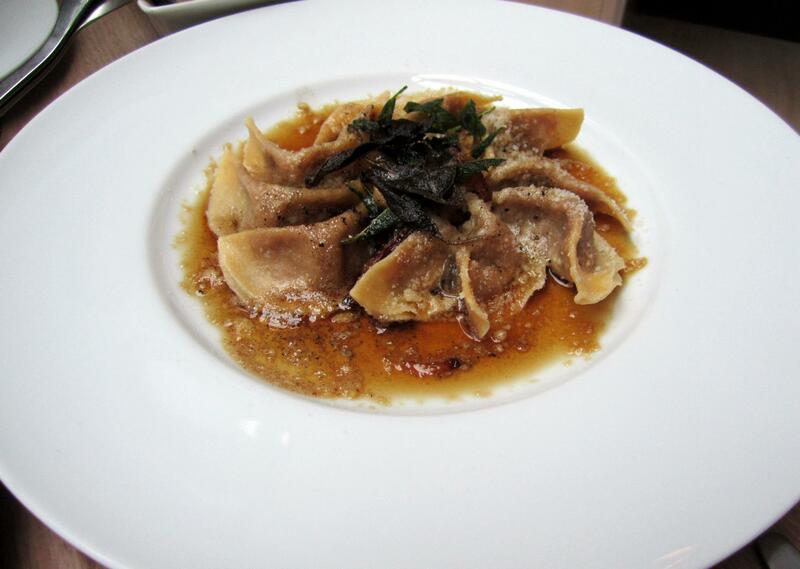 The casoncelli accompanied with the sauce and crispy pancetta was really mouthwatering and tasty! The flavour was strong and I particularly loved the burnt flavour it had. The veal and pork wasn’t dry, the pastry wasn’t tough, it was the perfect dish. This was our sides and I underestimated how filling this was. 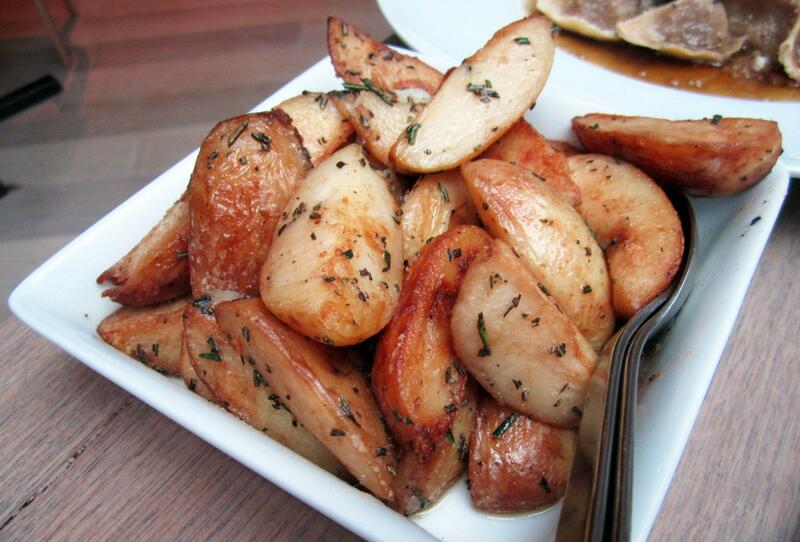 I have never ever eaten this many roast potatoes in one sitting, so delicious! You can really taste the herbs especially the rosemary, you could taste it too! Even though I was bloated from the two mains, I still wanted to finish this side because it was THAT good! I loved the taste and flavour to it, I would order this again as well!